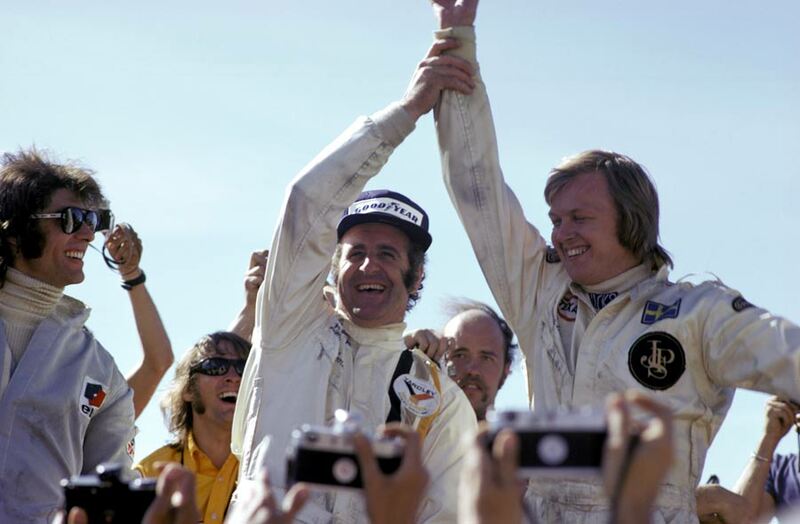 Denny Hulme bounced back in the world championship contention by winning a riveting inaugural Swedish Grand Prix for McLaren on the penultimate lap at the twisty Anderstorp circuit. The recent success of Ronnie Peterson had captivated the home crowd and the local hero took pole position for Lotus ahead of the Tyrrell duo of Francois Cevert and team-mate Jackie Stewart. The race was delayed as the drivers complained about photographers situated in dangerous places on the circuit and when racing proper got under way, Peterson led his Lotus from team-mate Emerson Fittipaldi. The Tyrrells of Cevert and Stewart ran third and fourth with Carlos Reitman's Brabham fending off Hulme for fifth place. Hulme passed the Argentine on lap four and the order then remained the same until lap 34 when Stewart overtook Cevert and started to close on the Lotuses ahead of him. He passed a fading Cevert and moved up to third on lap 71 when Fittipaldi slowed with a gearbox problem. On lap 77, Hulme took advantage of Stewart's fading brakes and nipped by for second place. Meanwhile race leader Peterson was suffering with his tyres and Hulme sensed his opportunity, his compound coming into its own. And on the penultimate lap his strategy worked to perfection, much to the despair of the assembled home fans as Hulme passed for the lead with Peterson suffering with a slow puncture. It left Hulme, Peterson and Cevert as the top three with Stewart fifth behind Reutemann after his brake woes. "Hulme's drive had been a classic of skill and caution," reported the Guardian. "A superb tactical win, but the enormous crowd groaned as their hero failed to make it."